Feeling stuck? Sensing overwhelm? Try these 3 simple, but powerful questions to generate some surprising solutions. Sometimes all we need to do, is take a breath and ask a different question to get a new perspective and see what is actually possible. We want to believe what we perceive is true yet, most of the time we are only experiencing the limits of our own thinking. Asking yourself a powerfully simple coaching question can shift your perspective and help find ways to unlock your personal resourcefulness to get things On The Up. Here are three of my personal favourites- the coaching questions I often use to power through the tough stuff. They really work – for me and my clients. What will it take? – This is a great way to focus just on the things that matter and start to think about actionable steps. You gain clarity on what you are or not prepared to do. You feel more in charge and have a sense of your own boundaries and any self-imposed limitations. Is it true? – This question helps to get to grips with what is really happening and needs to be addressed to get things going well again. Here we often see what we have been creating in our own minds but might not be how that played out for real. Often our insecurities colour our judgement. It’s ok! We are all ‘works in progress’, no-one is perfect. 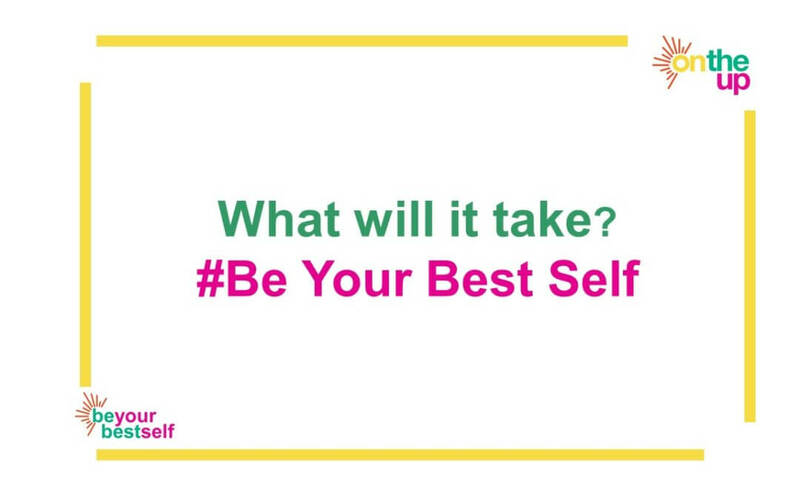 What would your best self do?- This helps you see what strengths you can bring and how there is always the option to handle a situation in a way that will leave you smiling not shameful. This way really works to keep your relationships and your self esteem in great shape too. So, if you are all out of answers, give these questions a go and find ways to #beyourbestself more of the time!